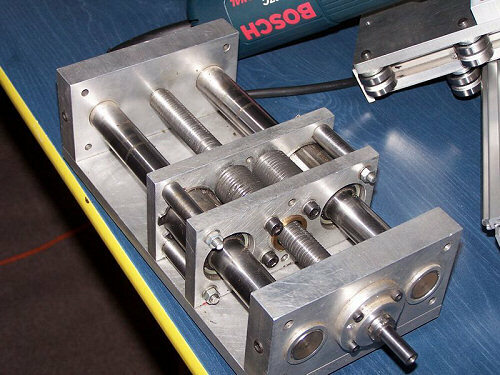 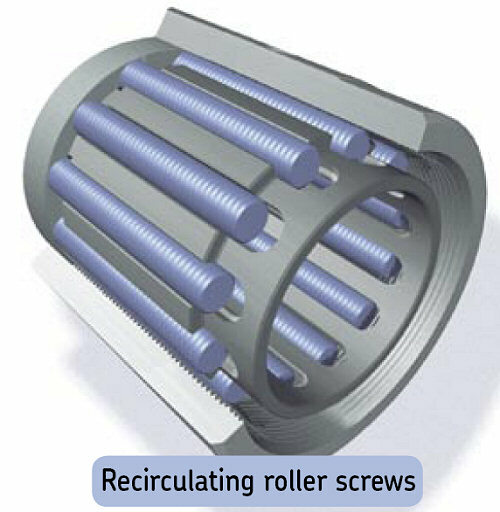 Roller screws are an alternative to acme and ballscrews - they efficiently convert rotary movement into linear movement by using what is essentially a high helix angle rack and pinion. 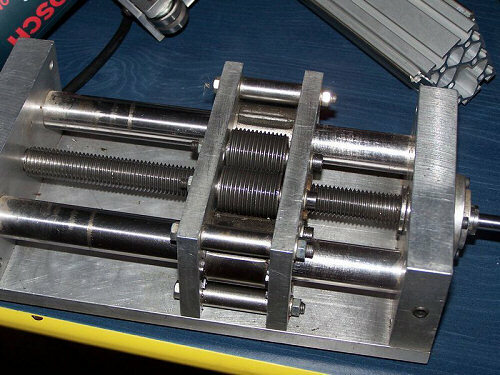 The thread form of a high quality roller screw is actually an involute curve, but standard 60 degree threads will work just fine for most applications. 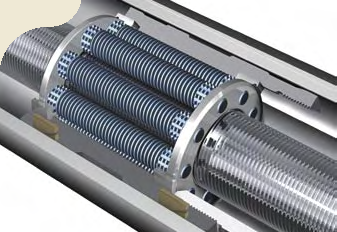 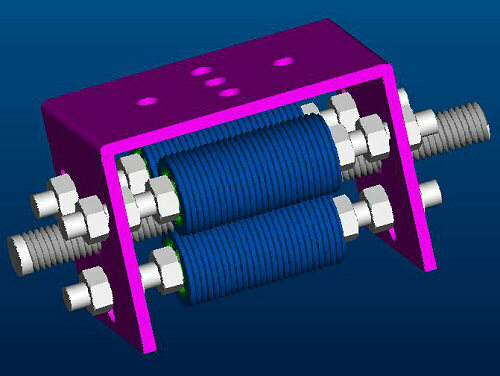 There are two types of commercial roller screw rollers - planetary and recirculating (also known as grooved) - the planetary type ensures that the rollers don't touch each other or anything else, and appears to be the most common type. 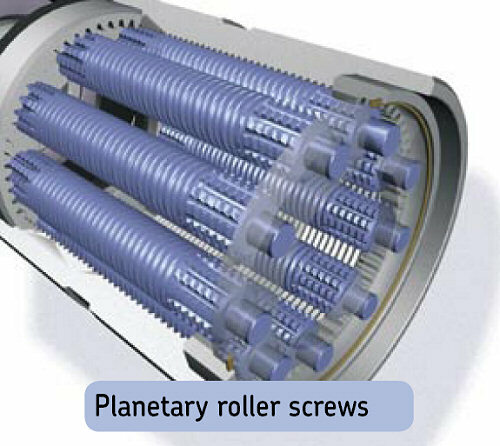 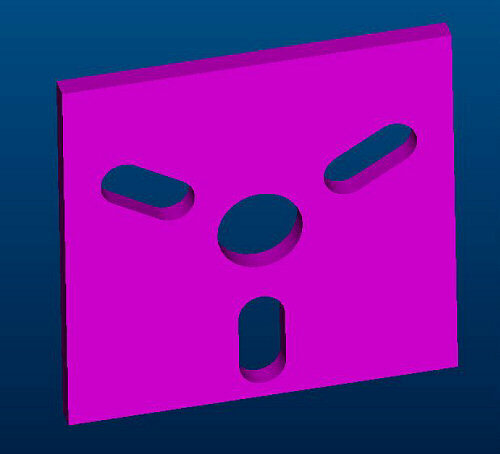 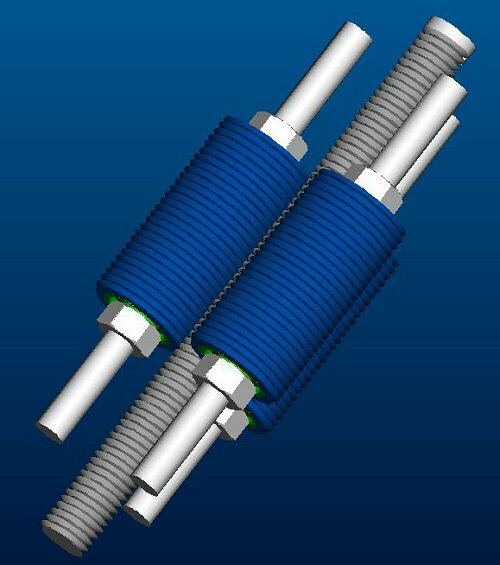 The planetary rollers have helical grooves, like a screw, but the recirculating ones just have multiple angled grooves, or otherwise they would unscrew from their holder. 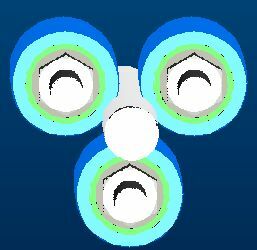 Based on "PukiWiki" 1.3 by yu-ji. 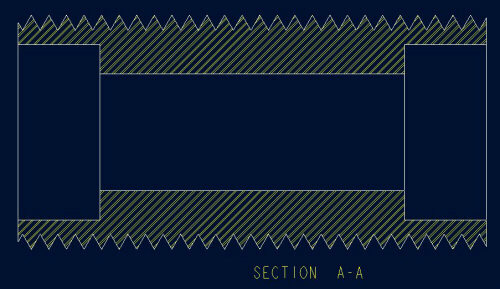 Powered by PHP 5.3.2-1ubuntu4.5. 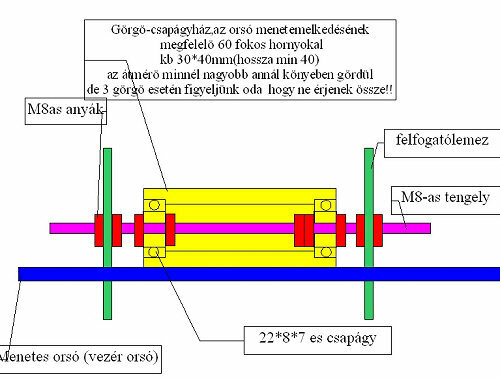 HTML convert time: 0.079 sec.